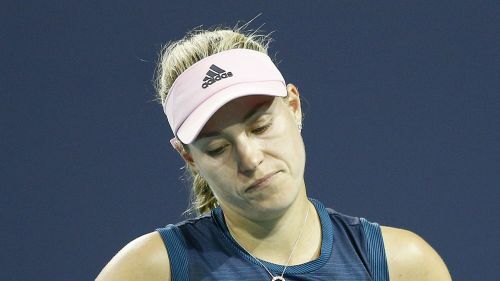 Wimbledon champion Angelique Kerber will not feature for Germany in this weekend's Fed Cup after being struck down with flu. Germany had hoped to call on the world number five for the play-off against Latvia as they look to preserve their World Group place – Jens Gerlach's team having lost 4-0 to Belarus in the quarter-finals. However, the German Tennis Federation confirmed Kerber will not fly with the team to Riga due to illness. "I am disappointed and sad that I have to cancel the Fed Cup match against Latvia for health reasons," said Kerber. "Unfortunately, after a delayed flu, I did not get a medical clearance and had to take a break for the next few days. "Even though I cannot be there, I am in contact with the team and I am sure that the girls will prevail in the relegation [play-off]." Kerber will hope the flu does not keep her sidelined for too long as she looks to complete a career Grand Slam at next month's French Open. Is Angelique Kerber the second best player of this decade?